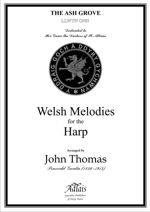 JOHN THOMAS (Pencerdd Gwalia) was born in the parish of Coity, Bridgend, Glamorganshire, on March 1st 1826. 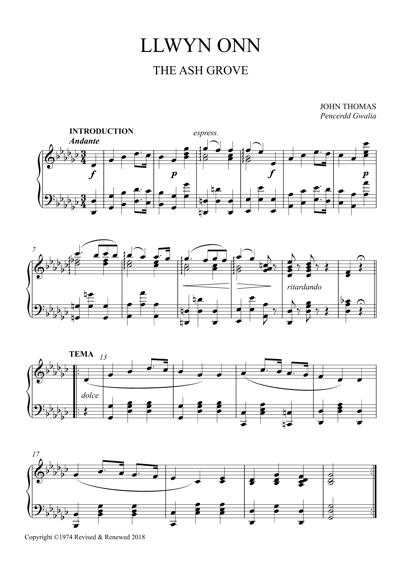 Distinguished as a composer, teacher and virtuoso of world-class stature, in 1872 he was appointed harpist to Queen Victoria. Yet, despite his great international success, John Thomas remained immensely proud of his Welsh antecedents, and he took particular delight in having been born on St David's Day. 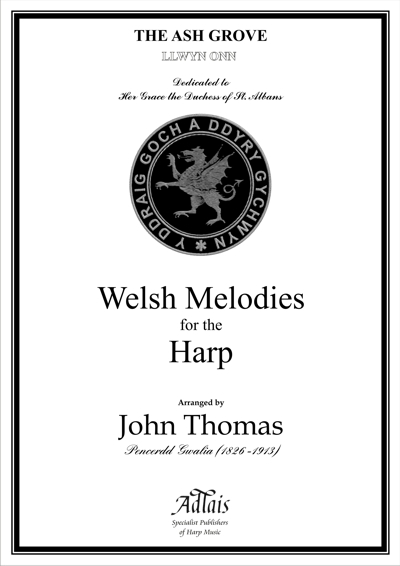 It was on St David's Day 1861 that he published the first of his two volumes of ‘Welsh Melodies for the Harp, arranged for the Harp by John Thomas (of Pen-y-Bont), Professor of the Royal Academy of Music, London; Member of the Academia di Santa Cecilia, Rome; Honorary Member of the Società Filarmonica, Florence, and Musical Judge of the late Abergavenny Eisteddfod in 1853’.